Velourtex starts with the same yarn as Lloyd’s Ultimat, but in a lighter, more economical face weight. 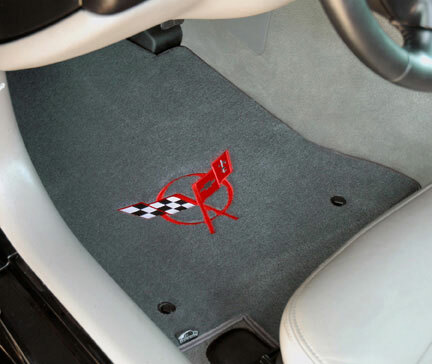 This high quality automotive floor mat provides a great wearing face and a durable, protective four layers of backing. They are custom-made for all Corvette applications and have factory compatible anchoring devices. In addition to approved and licensed Corvette logos, you may opt for hundreds of other lifestyle emblems or embroidered initials.